Advair is a combination drug that uses salmeterol and fluticasone to manage asthma and chronic obstructive pulmonary disease. Advair, in the United States of America, is marketed by GlaxoSmithLine under various names. It must be stated: patent protection for Advair in the United States expired in 2010. 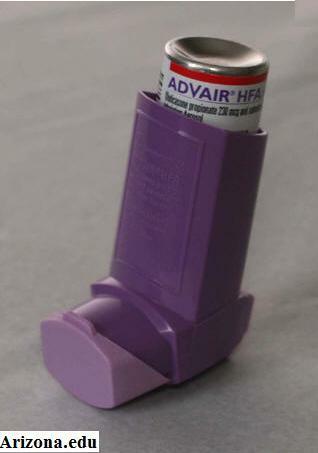 The availability of Advair, in the generic forms, may be delayed because the Food and Drug Administration has not established a standard concerning the bio-equivalence of inhaled steroids in dry powder or multi-dose inhalers. Advair is available in a number of dosage strengths, depending on the patient’s location and their need for the drug. The smallest dosage is 100 ug of fluticasone and 50 ug of salmetrol, while the immediate dosage is 250/50 and the highest dosage is 500/50. Advair is used daily; the medication should never be applied during the beginning or throughout the course of an asthma attack. Instead, Advair is applied daily to form a protective shield and promote the flow of oxygen in the body. The common side effects of this combination drug are those of its individual components. For example, the use of an inhaled corticosteroid is associated most notably with oral candidiasis. Although the Advair drug lost its American patent protection in 2010, there is no generic equivalent in the United States. That being said, there are a few common Advair alternatives that will be discussed below. Because Advair is a combination medicine, the bulk of Advair alternatives will utilize two drugs to combat respiratory problems. A few medications on the open market utilize the inhaled steroid feature of Advair with a bronchodilator medication. These Advair alternatives include: Budesonide and formoterol (known as the Advair alternative symbicort). There are a few other Advair alternatives, including therapy and other steroids. If you wish to look into an Advair alternative please contact your healthcare provider. Note: an Advair alternative should only be discussed or looked into if Advair, by itself, is not effective in the treatment of your respiratory problem. Moreover, an Advair alternative should be looked into if the associated side effects are too intense to handle.